The Quarrymen, In Spite of All the Danger. The Jades, Leave Her For Me. "In Spite of All the Danger" is one of the pair of songs that make up the first recording by the future Beatles. While the more widely-known track, the then-Quarrymen's version of "That'll Be the Day," is an eager, competent but purely amateur take ("it is to rock and roll what evaporated chocolate is to chocolate," Devin McKinney), "Danger," an original song, is far odder, a wandering half-blues that seems to have been destined for the margins upon its very conception. On July 14, 1958, Lennon, McCartney, Harrison and their friends, pianist John "Duff" Lowe and drummer Colin Hanton, lugged their gear to the home of Percy Phillips (a "naffy old man," as Hanton recalled later), who ran the only recording studio in Liverpool. This was a small room with one microphone, a tape recorder and record-cutting machine. 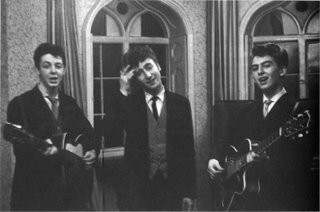 The Quarrymen had intended to do a number of takes, ambitiously planning to lay down a backing track and then do multiple vocal overdubs, but soon discovered they only had enough money for Phillips to record a live take and transfer it to disc. So they dashed out an acceptable version of "That'll Be the Day," the only song they had rehearsed as a quintet. Then, suddenly, McCartney announced the next track would be a song neither Hanton nor Lowe had ever heard before. The latter two protested that they needed to rehearse the new song, at least do one run-through, but Phillips snarled that they needed to it cut it immediately ("for seventeen and six you're not here all day"), so Lennon told Hanton and Lowe, "just follow us," and the tape rolled. 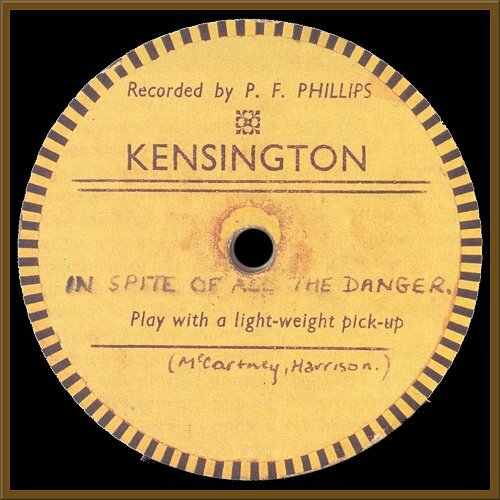 Who knows why the Quarrymen chose "In Spite of All the Danger" to record--it simply might have been the only complete original song they had at that point. (It's also the only McCartney-Harrison composition in existence.) While the lyrics aren't much, as you'd expect, the track has a shifting, restless feel to it--McCartney hovers around one wailing note, Lennon's lead vocal conveys both longing and assurance, and Harrison's guitar part, which sounds like the product of many a night's practice, is sharp and ringing. 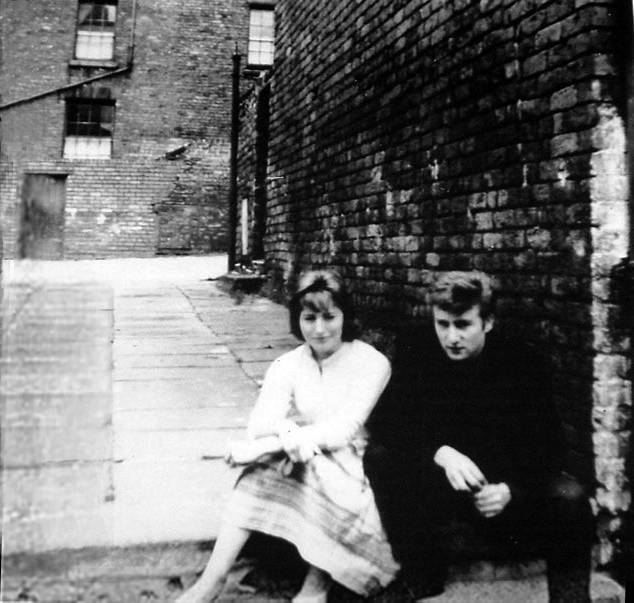 If the Quarrymen's version of "That'll Be the Day" is a spirited imitation, an attempt to duplicate exactly a record that had captivated them, "In Spite of All the Danger" is far more inchoate. There's some Everly Brothers, Holly, some doo-wop, some country ballad, all meshed together--it feels like the song has flickered into being in a communal mind, soon to wink out again. The poor state of the recording, its murkiness, hiss and fluttering sound, adds to the track's almost primeval feel. It is, as McKinney wrote in Magic Circles, "an old record performed by young men." Lowe eventually found the disc in the early '80s, and sold it to McCartney; the performances were finally released, nearly forty years after their recording, on Anthology 1. (However, the "In Spite of All the Danger" included on Anthology has been truncated--the version included here, which I found on this marvelous site, is about thirty seconds longer). "The Jades wasn't a band, it was just one guitar and two other guys singing. I was in the background. I wrote the stuff, I didn't sing it. We would play shopping malls and some really bad violent places." 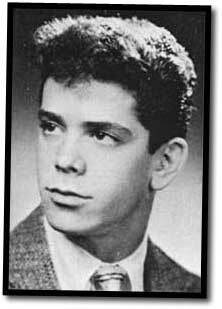 Lou Reed. The Jades' "Leave Her For Me" is the first appearance on record by Lewis Allen Reed, who was 16 years old when it was made, around the same time the Quarrymen were in Percy Phillips' house. Unlike "In Spite of All the Danger,"however, this was a legitimately commercial record, featuring the great King Curtis on saxophone, and which was picked up by the national label Dot. Reed and his high school friends Phil Harris and Al Walters, after a successful gig at a school variety show, got together one night and wrote "Leave Her For Me" and "So Blue," two paint-by-numbers doo-wop songs. Still, the songs were compelling enough, and the Jades soon caught the attention of A&R man Bob Shad, who worked for Mercury. Like many A&R men, Shad dreamed of running his own label, and figured recording a trio of Long Island kids would be as good a place as any to start. Reed later recalled that the song was played once on the radio by Murray the K, and that he received royalties of 78 cents, while Harris said the height of the Jades' fame was occasionally appearing on lists of singles that could be played from a diner booth. Released on November 28, 1958, c/w "So Blue" as Time 1002. On Rockin' On Broadway and also iTunes.